Italian juices producers are those producers who prepare and package fruit and vegetable juices to be entered into distribution. These italian juices producers are very often producers who grow their own products such as fruits and vegetables, and then extract from these juices which are bottled or canned to be transported and sold. many of these produce organic fruit and vegetables and through pressing, extraction and processing always follow all regulations to be identified as juice bio feeding into the supply chain of fruit and vegetable juice bio. Other italian juices producers on the Italian territory use independent farmers who grow and provide them with high quality products from which they are basic juices or extracts blended with other juices to obtain a wide range of flavors and aromas with beneficial properties and detected healthful importance. 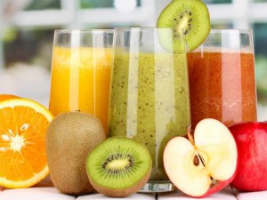 always in Italian juice producers category you will find manufacturers that produce fresh juice, or juice with a short expiry time, which should be drunk quickly and juices that thanks to a preservation process may last longer.